Even its construction as one of a large number of similar buildings may contribute to bring about such a result, since sections of cities built up with great uniformity usually drift into a lower class of occupancy and reduced rentals. Or, inversely, if built too elaborately for its associations, it will gradually settle to their level, as an expensive residence does when placed among cheaper neighboring buildings. A fine old mansion will generally bring less rental than a cheaper but more modern cottage as soon as its appropriate surroundings are changed. The march of alteration, often miscalled "improvement," is inexorable in modern cities, and their past history shows a process of reconstruction occurring about three times in a century, a natural result of progressive growth of population and relative increase in demand for accommodation in restricted and central locations, bringing about a limitation of the useful or economic existence of buildings of various classes; a condition only to be partially remedied by the expenditure of new capital in reconstruction or remodeling whereby the efficiency of the building may be somewhat renewed and its effective existence extended. If such contingencies were taken into account at the time of the construction of buildings, it is probable that many extravagant unnecessary expenditures would be avoided, and only such expense incurred as would be justified by estimates conservatively based upon gradually decreasing returns derived from such expense. The risks involved and the burden undertaken in the enormously expensive exterior and interior decorations, the equipments and the conveniences of certain buildings, may perhaps appear justifiable in view of the present attractiveness of such details, but they should properly show a commensurate return in the rentals, not only at first, but after years of existence and competition, and, more conservatively, they should be covered by an annual investment, laid aside from their earnings, proportioned to their limited life of usefulness. It is true that some buildings have lingered long*, so long, in fact, that in some cases the tide of land values has passed over them and they have become stagnated. Instances will be recalled of antiquated or inadequate buildings which have waited long for the turn of the tide, and in the meantime have not earned a justifiable interest upon any increase in the value of their sites. These are instances of failure to effect reasonable improvements in due time and in manner adequate to existing conditions. Alterations and disuse of residential buildings are often rapid, and are due chiefly to their changed local surroundings. In many cases the expenditures upon such structures were moderate, and the increase of the value of the site has outbalanced the loss on the building. But in the case of the tenement, flat, and apartment-houses, the interests of a very wide-spread class of small investors are affected by a decrease in earning capacity and in capital value which may be brought about by competition, by change, and by age. 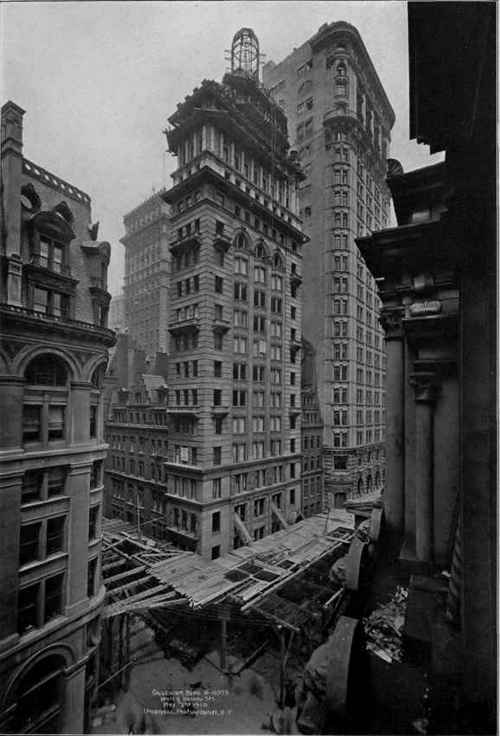 It is too early as yet to observe these effects upon the higher class of apartment-house, apartment-hotel, or residential hotel, but in the case of an enormous number of 5-story tenements or flats which preceded the advent of the elevator apartment building, some such results may be readily observed. "Over-expense in original construction, ill proportioned for the value of the site, is a fundamental cause of financial decay"
Depreciation of the Value of Buildings tal values not only by periodic variations in rentals, due to the fluctuations of supply and demand, reducing their average returns, but by permanent reductions due to the competition of more alluring conveniences in other buildings and localities. Such buildings cannot be regarded as instances of over-building in the sense of disproportion, but are instances of overbuilding of a single type and perhaps still more of the practice of building without regard to possible future developments. In very few cases was provision made for the contingency of future additions. In many a 5-story tenement the addition of an extra four inches on the second-story walls would have enabled the later owner to add another story to the building, thereby substantially increasing its earnings, but as this provision was not made, a falling off in value cannot be arrested. (1) $30,000 worth of alterations, changing an apartment-house at Broadway and 54th Street for loft purposes. (2) Four 4-story flats on lots 20 feet x 102.2 feet each. They will at once be changed into modern English-basement residences. (3) 5-story tenement reduced to 2 stories, the entire front removed and rebuilt as a store and offices above. All properties are usually appraised with some recognition of the probability of fluctuating rental returns, and, as these bring about a probable limit to their earning life, some portion of the gross rentals should be set aside at compound interest to provide for the gradual reduction of the value of the building and the eventual necessity for its remodeling or reconstruction.